(2:45 p.m. GMT) -- Twenty-eight cabins will be fitted with terrace balconies during a refurbishment to prepare Fred. 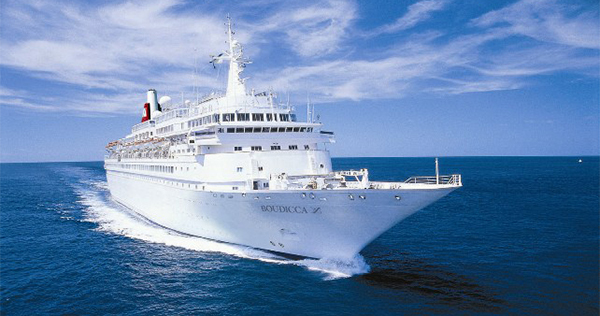 Olsen Cruise Lines' Boudicca for the 2016/17 cruise season. Following a 16-night Mediterranean cruise, the 880-passenger vessel left Newcastle in the U.K. today, bound for Germany's Lloyd Werft shipyard. The new balconies, which will extend 1.2 metres out from the ship's bulkhead, will be added to cabins situated on Lido Deck 7. The dry dock will also include engineering work, general renovation and interior and exterior painting. Boudicca is the last of the four Fred. Olsen ships to be refurbished: last year Black Watch, Braemar and Balmoral all went into drydock. Black Watch went through a similar refurbishment as Boudicca will, with the addition of balcony terraces. Fred. Olsen Cruise Lines' managing director Mike Rodwell said: "We experience extremely high demand for balcony cabins across our fleet, in particular on a smaller-sized ship such as Boudicca, and our new terrace balcony cabins are an innovative response to this. We installed the new terrace balcony cabins on sister ship Black Watch during her dry dock last Autumn, and these have proved very popular with our guests." Following the refurbishment, Boudicca will sail from the U.K. port of Tilbury on November 30 on a 14-night "Landscapes of Morocco, Madeira & the Canaries" itinerary. During the 2016/17 cruise season Fred. Olsen's fleet of four ships -- which also include Balmoral and Braemar -- will visit a record 253 destinations in 84 countries.